Oooooh fan arts! Two pieces from a man (I think it's a dude? Everything from that night is a blur...) called RabidRaccoon, who tossed me two adorable peices. 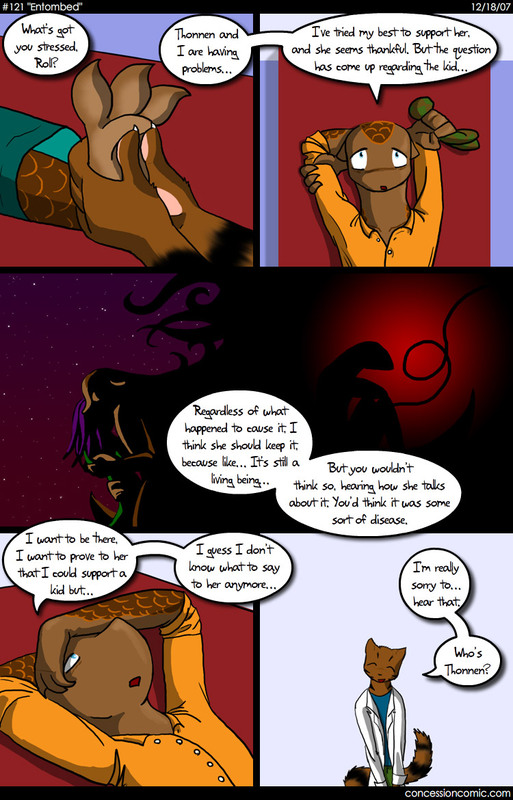 Also featured is the highly expert crafts of InkWolf. So go take a look! So! If you're feeling inspired, maybe it'd be a good to to write some! 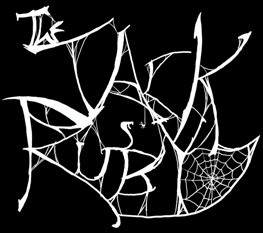 The Jack Ruby, who's logo is featured here on Joel's shirt, is a local death metal quintet, known for their dual-growling vocalists and their energetic violinist. Three of it's five members were together in the band Cellular Death, which would soon become the popular doom-metal-and-bluegrass band Roses & Roaches. The Jack Ruby has not enjoyed the mainstream success that it's bluegrass rivals have stumbled into, but things will soon look up as their bassist will make friends with the singer of the melodic death metal band, Arch Enemy.